Santral Istanbul, a disused power plant converted into a center for art and education. Eyup Cultural Center, whose roof forms a pedestrian walkway leading to Istanbul’s waterfront. Raif Dinckok Cultural Center, a design that links separate structures with a perforated steel skin. 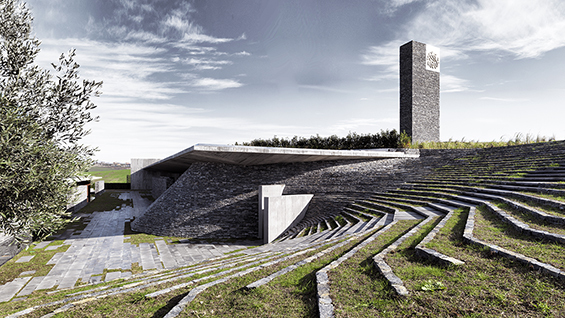 Sancaklar Mosque, which sought to strip away design conventions and return to the essence of Islamic philosophy. AG Sumer Campus and AG Presidential Museum and Library, a Russian Constructivist factory transformed into an educational facility, library, and museum. Antakya Museum Hotel, a novel design strategy for a hospitality center that straddles archeological ruins. Arolat was born into a family of prominent Turkish architects. He joined his parents’ firm after graduating from Istanbul’s Mimar Sinan University. In 2004, he founded EAA – Emre Arolat Architecture with Gonca Pasolar. Today, the firm has offices in London and New York in addition to Istanbul. Its projects have received international recognition, including the Mies Van der Rohe Award and the Aga Khan Award. Arolat has lectured at design schools around the world. He was the Norman R. Foster Visiting Professor at the Yale School of Architecture in 2017. In 2012, he co-curated the first Istanbul Design Biennale. His work has been widely published and exhibited, including at the 2012 and 2016 Venice Biennales. The lecture will be moderated by Adam Yarinsky, a partner at Architecture Research Office (ARO) and board member of Places Journal.